Congratulations, Californians. Oh thee of my homestate. Today was a good day for you, for all of you, really, as Judge Walker deemed, rightfully and factually so, that your denial of marriage for gay and lesbian couples was in violation of due process, but more importantly, was in violation of equal protection law. The hateful Proposition 8 was overturned. To this, I baked you a pie. A peach and blueberry pie, because there is room in the pie for both peaches, and blueberries, and a pie does not only need to be of one ingredient in order to be tasty. In other words, the gays won't ruin your pie. We promise. Proposition 8 was California's version of Oregon's Measure 36, of which I was very much involved in fighting. I can only hope that those of us in Oregon, and the rest of the country, can join in celebration of having these rights of equal protection in the future. I am proud to be a strong supporter of Basic Rights Oregon and the work they are doing to further the dialogue of marriage, and what it means, across the state. Why does marriage matter? Find out more here. Please consider sharing your stories. There's enough pie to go around, yes? Gather 'round for a slice of "The Gays Won't Ruin Your Marriage Pie." 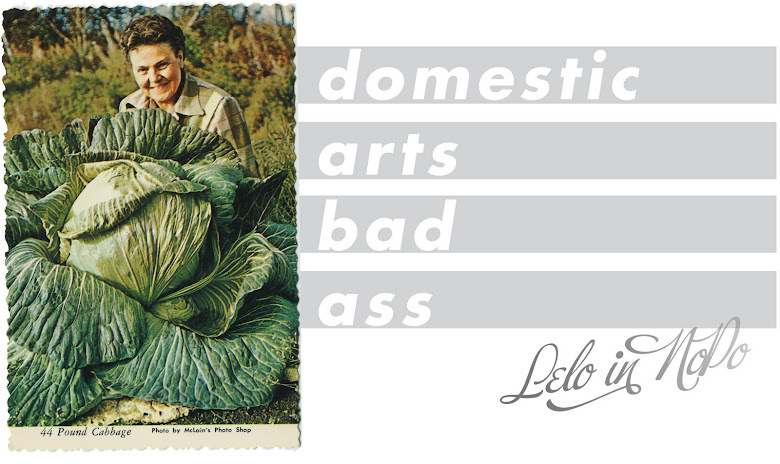 And if you need it a la mode, I've got you covered. Yay! Yay! Yay! From all of us straight people out there who are not spiteful, judgmental or just plain mean - Yay! Yay! Yay!!!! 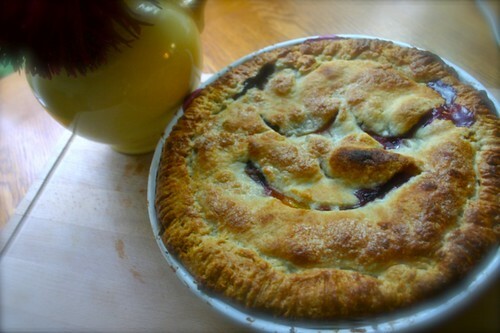 Your pie looks so happy (and also kind of stoned)! Yay for California! And I hope Oregon can soon follow suit. i thought of you when i heard. bask in the day !!!! a few weeks ago, there was also success in argentina. poco a poco. btw - loved the sound of the wind chime. one must see it move to appreciate it. it is wonderful on so many levels. Who are you calling pansy?